Recorded over four nights in the band?s hometown of Chicago at their favorite venue, Metro, Past Live was an undertaking like no other. The band performed all eight studio albums, professionally captured in multi-track recording. The result is an exciting performance complete with crowd cheering and sing-alongs. These albums are a collector?s piece every ALKALINE TRIO fan will want to own. 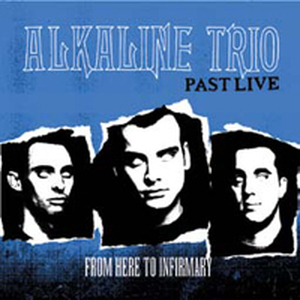 Alkaline Trio - Is This Thing Cursed?